Well we set off with more than enough time to spare - hours in fact! The journey down was pretty straightforward although we were kept entertained by games of hangman and Dobble to pass the time. 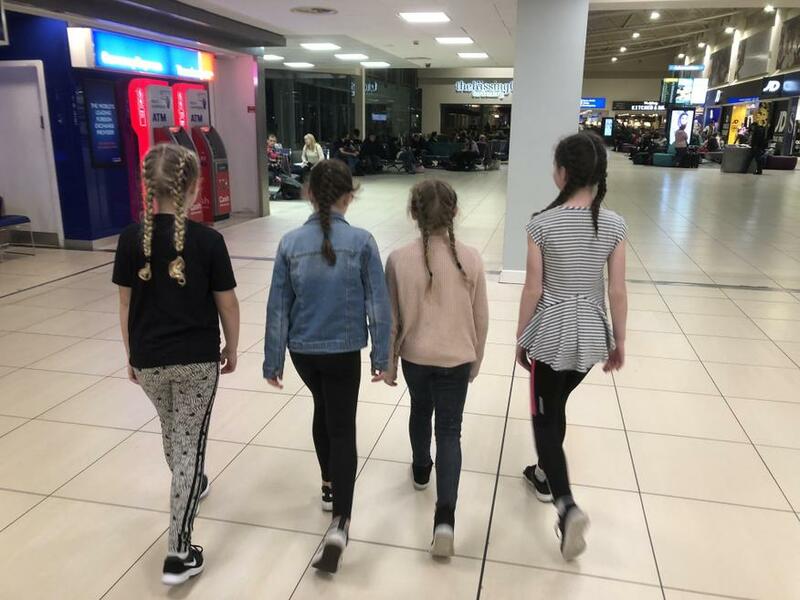 We finally checked in and made our way through to departures where Burger King was our first stop. AJ was regaling everyone with her European language skills - basically English with a European accent! 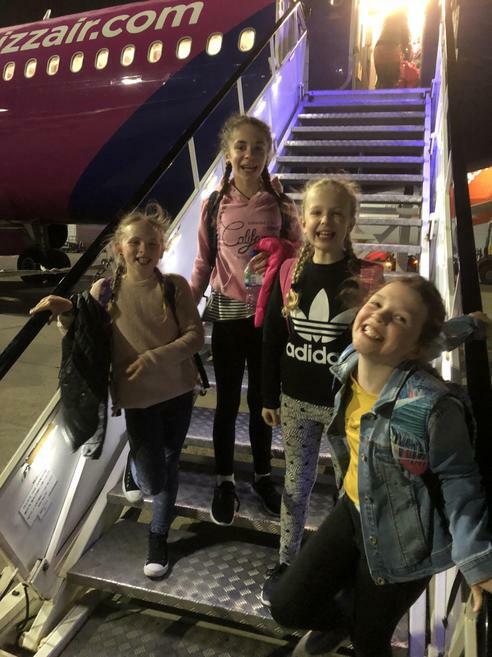 A while later we boarded the plane where we experienced the gorgeous leather-effect seating and the new and unusual aromas!!! The flight passed without incident. 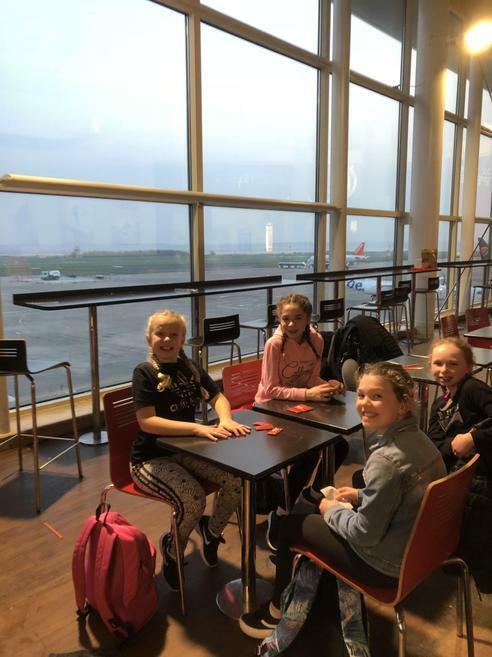 2 girls and one adult managed to sleep however Mrs Johnston, Mr Caygill and 2 girls remained wide awake throughout. I feel there may be some grumpiness in the morning (not from Mr Caygill or Mrs Johnston though as they are relentlessly cheerful!). 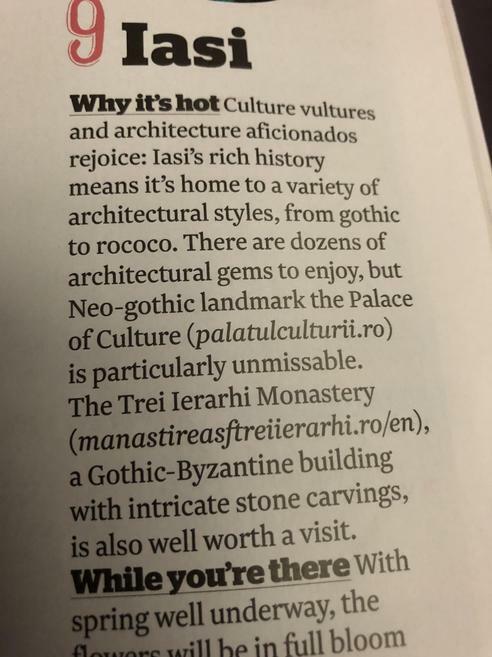 In the in-flight magazine, Iasi was described as the ideal place for ‘culture vultures’ to visit which seems right up our street, even though we are more ‘culture seagulls’ than vultures. LCo might be a culture flamingo though as she has one on her rucksack. We finally arrived at the hotel, quickly checked in and went to bed.